Home » advertising » agency » jobs » marketing » social media » New jobs in advertising and media agencies. So, where's the downturn? New jobs in advertising and media agencies. So, where's the downturn? 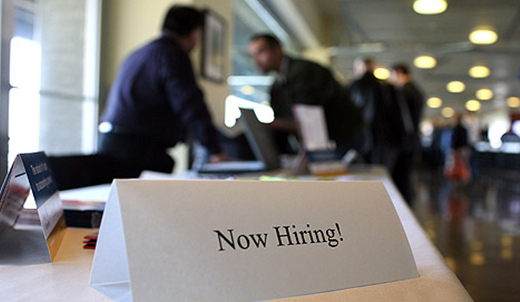 New job openings announced, so where's the bad news? Most everyone in our industry is talking about a downturn for 2016. Yes, there are bland numbers coming out of agencies in advertising and media, but really, it's not that dire. There's a slowdown in growth, but I don't see a downturn – unless of course another 2009-like global economic meltdown happens. Oil seems to have hit the lowest possible, and recovery seems to be on the horizon because production may be slowing down on that front. Which means, there is hope yet. Or thereabouts. Looking for candidate with 10+ years’ experience in both offline and digital media, MBA educated, able to strategize, challenge, mentor and lead a team. Looking for candidate with 8 + years experience in developing communication strategy on international, regional and local clients. Looking for candidate with experience in managing the entire strategy process development, also responsible for fronting the strategy side of new business pitches as well as on-going clients. 8+ years of experience in media planning and buying, preferably for a Media agency within the region, but international experience also valued. Knows how to develop objectives, strategies and plans for clients and also able to develop the skills and knowledge base of the team. Bachelor degree completed ideally in marketing, business or related subject with expertise in digital and social media. 1-2 years of experience in media department or media company. 4 – 5 years of experience in media planning and buying. Understand marketing objectives and strategies for all the team’s clients and ensure objectives are on target. 5-6 years of experience in media planning and buying, preferably for a Media agency within the region, but international experience also valued. Knows how to develop objectives, strategies and plans for clients and also able to develop the skills and knowledge base of the team. Bachelor degree completed ideally in marketing, business or related subjects. 12-18 months in media department or Media Company. 1 year of experience in social media advertising including Facebook, Twitter, Quora, YouTube, etc. Prefer experience within the region. 2+ years of experience in social media advertising including Facebook, Twitter, Quora, YouTube, etc. Prefer experience within the region. Up to date and knowledgeable on social media best practices. 7+ years of experience in corporate communication, managing people, PR agency handling FMCG clients. 5+ years of experience in effective management and control of the creative output of client and internal projects from a traffic context. Copywriter who is looking for their next step, wants to join a global creative agency, able to work seamlessly online and offline, lives and breathes advertising and is of course talented. Send your CV and portfolio link. 8+ years in being the working wheel within the Creative groups in the department with award winning experience. Is currently working as a Senior Art Director and is looking for their next step. Wants to join a global creative agency, able to work seamlessly online and offline, lives and breathes advertising and is of course talented. Send your CV and portfolio link. 3+ years of digital design experience, with a passion for excellent design skills and digital. The work demands creative flair, up-to-date knowledge of industry software and a professional approach to time, costs and deadlines. Looking for a graduate or up to 2 years’ experience, design oriented bachelor’s degree, must have photography skills, typography and art illustration skills. Must be based in Dubai. 3+ years experience in Web, Mobile, Search, Marketing, Campaign, Competitive, Social Consumer Analytics. Also well versed with Omniture, Adobe Site Catalyst, Discover, Report Builder and Google Analytics for executing analytics projects. 1-2 years experience in Advertising/Marketing. Strong facilitation and presentation skills, both in preparing materials required and in delivery. Fresh graduate with advertising degree can also apply. Looking for someone with quite diverse skills – finished art (online and offline), re-touching, as well as some design skills. 2+ years’ experience working on solid graphic design projects that incorporate new technology. Have a passion for design and a good portfolio. 3+ years of experience in developing holistic creative retail campaigns across ATL, BTL and Digital and also responsible for creating the work, presenting it to a client and producing it. Whether you're starting a career in Media, Advertising or PR, there’s an opportunity for you at MCN. You need to be creative, articulate, comfortable in analyzing data and highly organized. In addition to this you will need to have a strong team spirit and a ‘can-do’ approach. From time to time, job opportunities open up at MCN. There are no opportunities available at this time, however, we courage you to share your profile for our future reference.
. So much needed data i'll get and keep in my file.Thank u so much. How different is social media for B2B? How do you measure 'virality' of your content?